The agency was supposed to receive the money Jan. 1, but it never came. 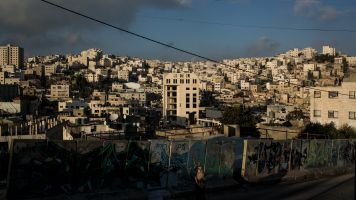 The U.S. has reportedly frozen $125 million in funding for the United Nations Palestinian refugee relief agency, according to three anonymous sources who talked to Axios on Friday. The U.N. Relief and Works Agency was set up after the 1948 Arab-Israeli War, which displaced hundreds of thousands of Palestinians. The agency continues to provide education, health care and other social services to Palestinians throughout the Middle East. News of the freeze could be seen as punishment after the Palestinian Authority decided to suspend contact with the White House following the Trump administration's decision to move the U.S. Embassy to Jerusalem. According to Axios, the funding freeze isn't necessarily permanent, but the administration is reportedly considering permanently cutting up to $180 million in aid to the agency. That would be nearly half the U.S.' yearly donations to the organization. U.S. Ambassador to the United Nations Nikki Haley said earlier this week the U.S. could cut funding to Palestinians until they agreed to return to the negotiating table with Israel.